*I made a pretty tasty sandwich with these rolls last night and I'll post that recipe Monday morning. You're going to love it!! As a kid, I remember driving home from some sort of family gathering with the whole family in the car. I had a bag of M&M's in my hand. Just the plain chocolate kind. I remember reading the ingredients on the back of the package and thinking to myself, "I could totally make some of these!" I really thought I could. I sat and stewed, and tried to figure out how I was going to make my homemade M&M's. As you can guess I never quite figured that one out. Since that day though, it's always fun to 'figure something out' that you like. 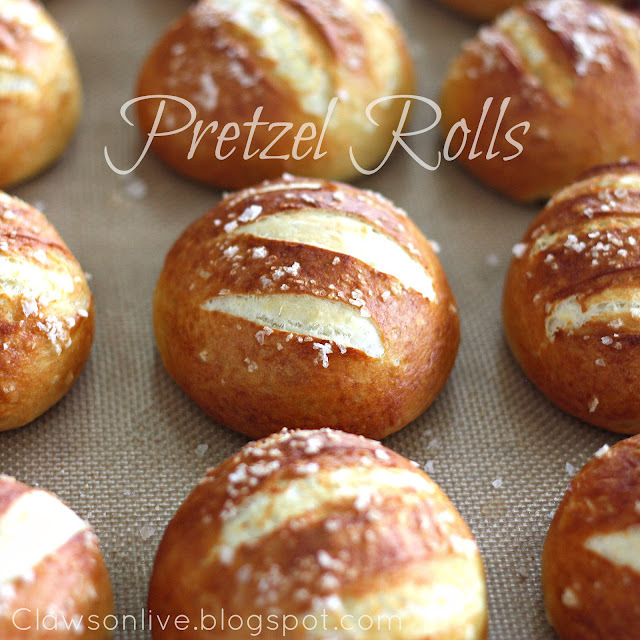 Some of my faves have been Chili's Chicken Enchilada Soup, Homemade Butterfingers, and now these Pretzel Rolls. A few weeks ago, a friend in Idaho posted a picture of these rolls on Instagram. His wife had made them and he was in heaven. And BTW, these folks own a Great Harvest in Boise. (Thanks again Mal!) Isn't it funny how bakery owners love to bake at home as well. The rolls looked so appetizing, and who doesn't love a hot pretzel? I could only imagine them with some spicy mustard and ham and cheese. Yum! So I made them the other day. They were a novelty that tasted great. James came home from work, and I think he ate 3 of the rolls right off the bat. We loved them. Now sometimes I make things just to see if I can, and then they will probably never be made again. These I would definitely make again. They were just tasty, and fun at the same time. I am posting the recipe that I followed the other day, but after doing a little research I've come to the conclusion you can make these rolls out of your favorite rolls or white bread recipe. There's nothing really special about the dough. The special part comes in the boiling water bath you dunk the dough balls in right before they go in the oven. The bath is a salt and baking soda mixture, that gives the dough the characteristically pretzel look, taste, and texture. 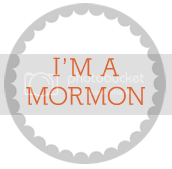 A little extra time is involved, but I promise you will be happy you made these. I used my 6 qt. Kitchenaid for this recipe. If you have a smaller mixer you may want to cut the recipe in half. 9 c. of flour may be too big of a batch for a smaller mixer, plus it made almost 30 rolls. You be the judge. I place all the liquid, salt, oil, sugar and yeast into the bowl first. Make a quick stir and then I added 7 c. of flour. Mix on low until the flour is combined. You want the dough to pull away from the sides of the bowl. This is where I eventually added 2 more cups of flour. Not too stiff. With the dough hook on your mixer, I let the dough knead for a few minutes. Until it becomes a smooth dough. Remove the bowl from mixer and cover with a cloth and let rise in a warm place for approx. 1 hour or until the dough has doubled in size. Punch down dough and dump the dough onto a greased counter top. Pull the dough together and divide into rolls. I ended up with 27 good sized rolls. Mine were a little larger than golf ball sized. Form balls by pulling the dough under. Place on a well-greased surface. Let the dough balls rise for 15 minutes. While the dough balls are rising, preheat the oven to 400 degrees and get the pretzel "bath" ready. In a large pot, bring water, salt, and baking soda to a rolling boil. Plunge three dough balls into the water and let them "poach" for 1 minute total. Using a slotted spoon, transfer them to a well-greased baking sheet. With a serrated knife, cut 2-3 lines across each roll and sprinkle with coarse sea salt. Don't be timid here. Slice with some confidence! They rolls will look better after baking if you make slits with some gusto! You won't hurt the rolls:) You can egg wash the rolls before you bake them. I didn't and I was pleased with my outcome. Or of course you could douse them in butter after they come out of the oven. Bake for 20 to 25 minutes, or until pretzels are a rich brown. These are best eaten the same day they are made. If you can't eat all those rolls, just cover them with a towel, and the next day to serve them, plop them back in a preheated 350'F oven and give them 2-3 minutes and they will be all toasty and perfect again! I will be making these soon... And then probably again and again and again soon thereafter. Yeah!! I hope you like them as much as we did:) Happy Thanksgiving!! You bet!! Don't refrigerate, but freezing works perfectly. Just thaw on your counter:) Good Luck!! I'm wondering how big the rolls are after baking. I'm wanting to use this recipe to make little sandwiches for an afternoon tea event that we host at church. I need at least 80 little sandwiches-- like silver dollar sized. They look delicious! How many batches of dough should I make to achieve this size and number, in your estimation? Kristi!!! Dang I am so sorry I'm just replying to your comment. It got thrown into a spam folder and I just found it! Hopefully your luncheon turned out good without my "expert" opinion:) This batch of rolls made about 3 dozen good sized sandwich rolls. I would think doubling the recipe would give you at least 80 dollar sized rolls. I'd love to hear how your tea went, and if the rolls turned out for you. Thanks for the comment!! I'm sorry I didn't spell out my measurements:) "T" stands for tablespoon and a "t" stands for a teaspoon measurement. Hope that helps. If you need anything else just let me know!! This recipe is wonderful, simple and so tasty..Just as good as the ones they have in Germany...sweet butter and they're gone!!! Will try to make pretzels next..